If you ask us, Rat got it absolutely spot on when he muttered to Mole: “Believe me, my young friend, there is nothing – absolutely nothing – half so much worth doing as simply messing about in boats.” The good things in life tend to come in irresistible but totally natural combinations: salt and pepper, fish and chips… and we believe you could add another one to that list… New Orleans and the River Thames! Silky jazz music and a riverboat cruise! Silk Street are proud partners of Hobbs of Henley, who have been providing the best in boating on the River Thames since 1870. With a fantastic variety of river cruises and boat hire packages on offer, there’s bound to be something to tickle your fancy with Hobbs of Henley. From Gin and Fizz Cruises to a Midsomer Murders river cruise and much more besides. But with Henley-on-Thames, you don’t really need to work too hard at it! The beautiful market town is synonymous with boating. 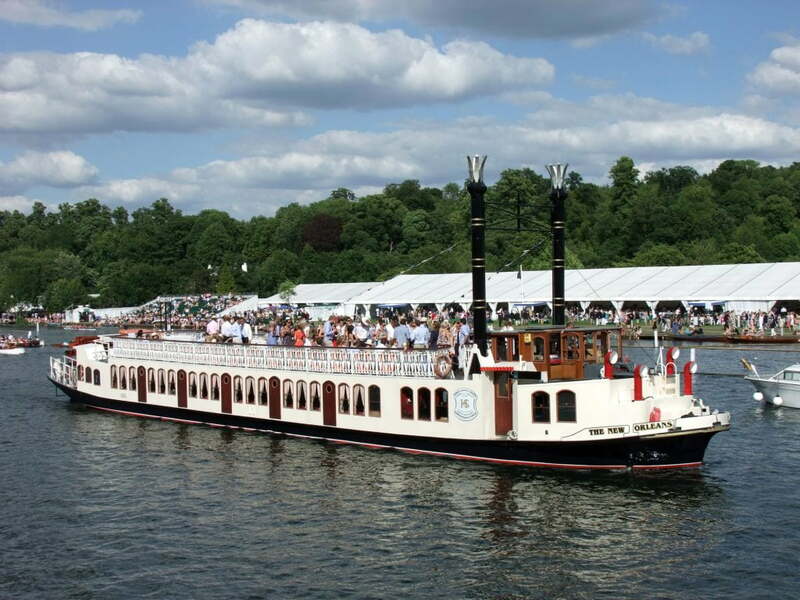 The Henley Royal Regatta is the world’s most prestigious rowing event. Save two breaks because of two world wars, the event has been held each year since 1839. Picture the scene: the sunshine, boaters and blazers, the sultry sounds of jazz bands – and all washed down with a cool and refreshing Pimms. The Regatta takes place in early July each year. It’s one of those quintessentially English events on the calendar – like Wimbledon. An experience that simply can’t be missed. It really should be on everybody’s bucket list. But, of course, there’s more to Henley than the Regatta – although we fully understand why it grabs all the headlines. The River Thames is there 365 days a year and makes a truly stunning setting for a private or birthday party, a corporate celebration, or even a wedding. Silk Street Jazz are available to hire to perform for private boat cruises and parties, and our friends at Hobbs of Henley will take care of all the planning for your event for you. We have another tantalising twist to tempt you with too. Call it a twist of fate or a match made in heaven, but one boat in the Hobbs of Henley fleet is rather aptly named ‘The New Orleans’. It has the distinction of being the largest and most luxurious vessel in service on the Upper Thames. 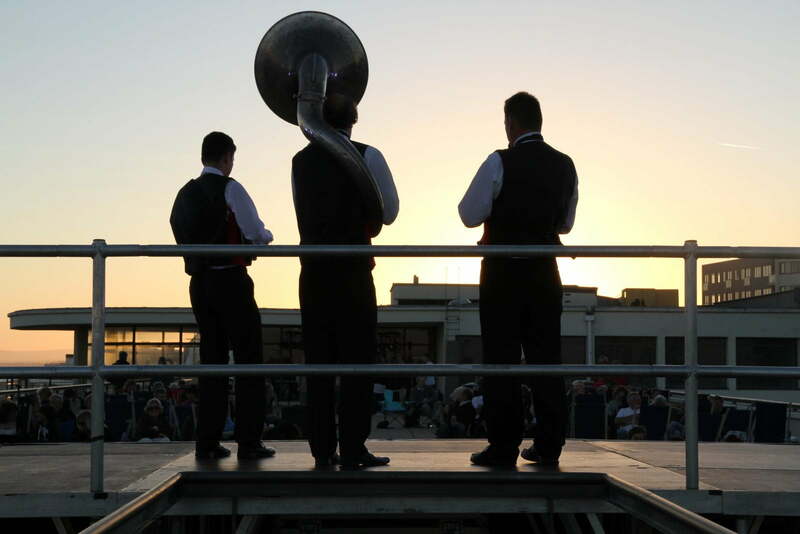 Built in the tradition of a majestic Mississippi sternwheeler and complete with paddle wheel and twin smoke stacks, it’s the perfect setting and floating venue for the sophisticated sounds of Silk Street Jazz – bringing more than a touch of Dixieland to the River Thames. If swing is more your thing, Silk Street Swing are also available to hire through Hobbs of Henley. The Hibernia and The Waterman are two other beautiful vessels to consider, but understandably there’s something about the pairing of Silk Street Jazz and The New Orleans that we particularly like! It’s a versatile vessel, featuring an enclosed saloon and upper deck suitable for all manner of celebrations. The New Orleans can cater for formal dining or a wedding reception too. Just get in touch with Hobbs of Henley to book your private cruise. Remember, there’s nothing that compares to ‘messing about with boats’. We’d be delighted to provide the musical entertainment for you on the river!